We're Live on Twitch! Watch Us Play Mario Kart 8! 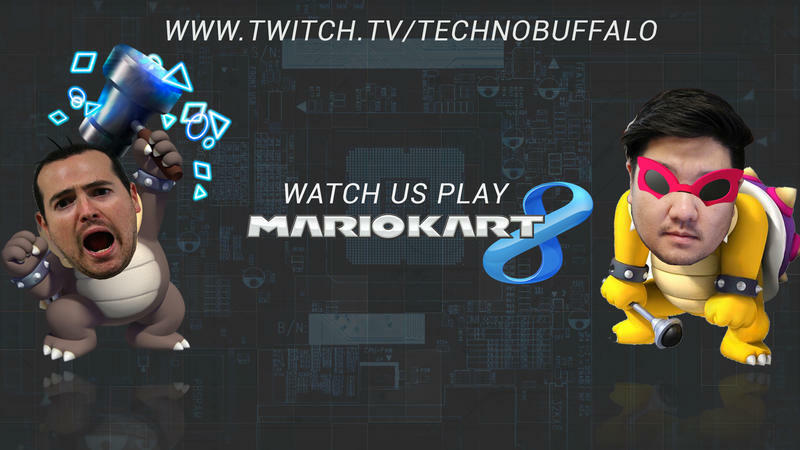 We're live on Twitch, and today we're playing Mario Kart 8. And because it's Friday, we want you to join! We are playing online today! We very much appreciate you guys joining us during our first official week on Twitch. We love hanging out and interacting with you guys, and it's great getting to know everyone on a more personal level. Remember: we wouldn't be where we are without your support, so we sincerely thank you for giving us a follow. That said, Jon is ready to take you guys on! We've had a lot of requests to play with everyone, so we're jumping online. We'll also hopefully get other games set up to play with more people, so stay tuned for that. If you do find us over on Twitch, be sure to follow our page! Jon said he will do the Ghost Pepper challenge if we hit 10k follows within six months of launching our Twitch channel. We crossed the 1k mark, so we still have some work to do. As always, keep the suggestions coming! We are open to playing any and all games—just don't be upset if we're not very good. We like to game casually but, more importantly, we just want to use Twitch as an opportunity to hang out with some of the best fans in the business. So, what are you waiting for? Let's play some Mario Kart 8.